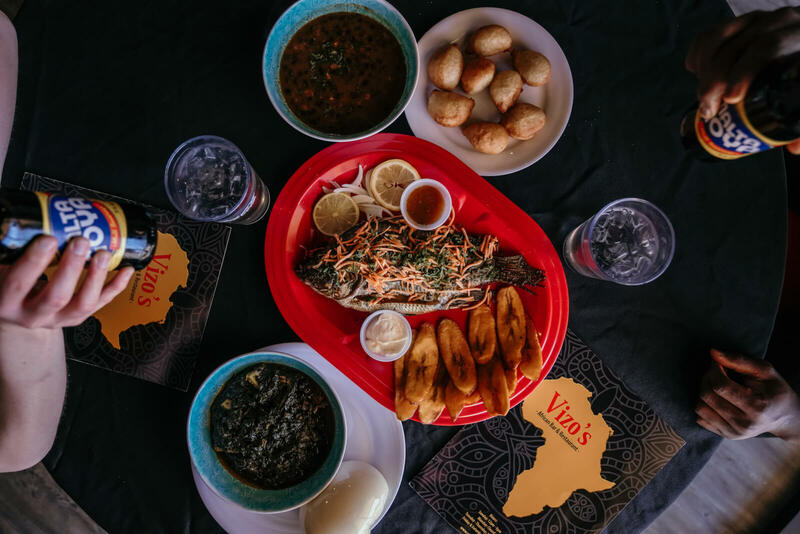 At Vizo’s African Bar & Restaurant, it’s all about the variety of African cuisine. With every item made from scratch, you’ll savor the rich flavors and experience the cultural passion with each bite. 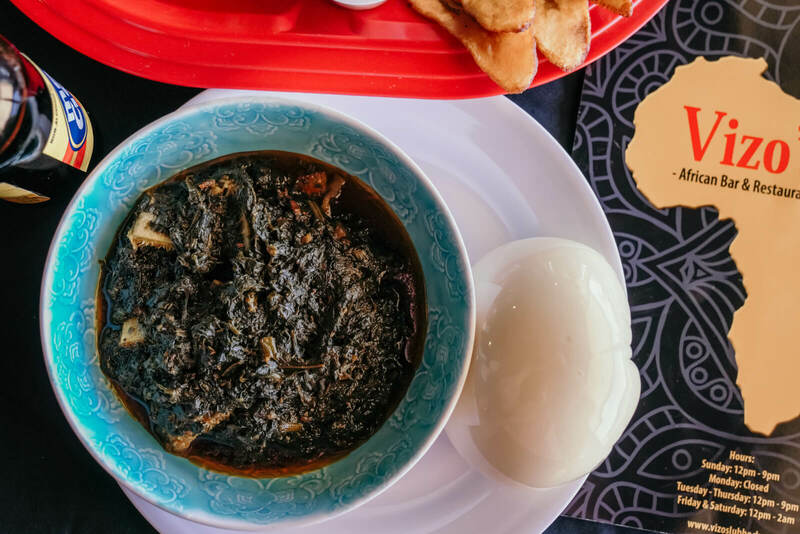 From traditional Fufu & Eru to Achombo, you can’t go wrong with any item on this curated menu. If you’re new to African cuisine, don’t be afraid to jump in taste buds first! From the moment I walked into the restaurant, I was immersed in African culture with the music and the smell of spices from the kitchen. 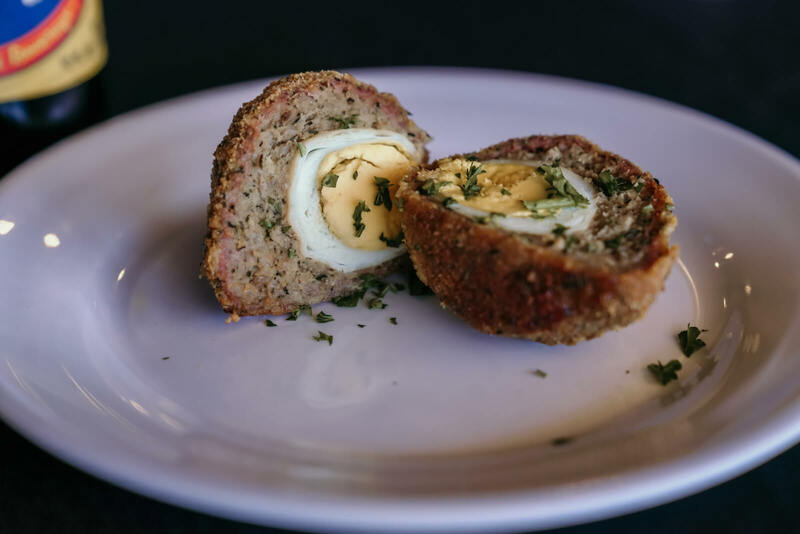 A natural introduction to the meal is a traditional Scotch Egg which is composed of a hard-boiled egg wrapped in seasoned meat, coated in crispy breadcrumbs, and fried to perfection. As for lunch, I ordered Achombo, Fufu & Eru, and Egusi Soup & Swallow. Not knowing exactly what all the dishes entailed, I was eager to learn more about the traditional ingredients and seasonings which create authentic African dishes. Fufu is comprised of mashed yams, spinach, and an African vegetable called Eru, along with onions and garlic oil. This dish is paired with dough made from ground plantains, a staple in African meals. Also, the Egusi Soup & Swallow includes pumpkin seeds, beef, spinach, and cray fish. Next, the Achombo was a flavorful, hearty bean stew accompanied by fried “puff puffs.” The simplicity of ingredients, yet multitude of flavors in this dish was delightful. 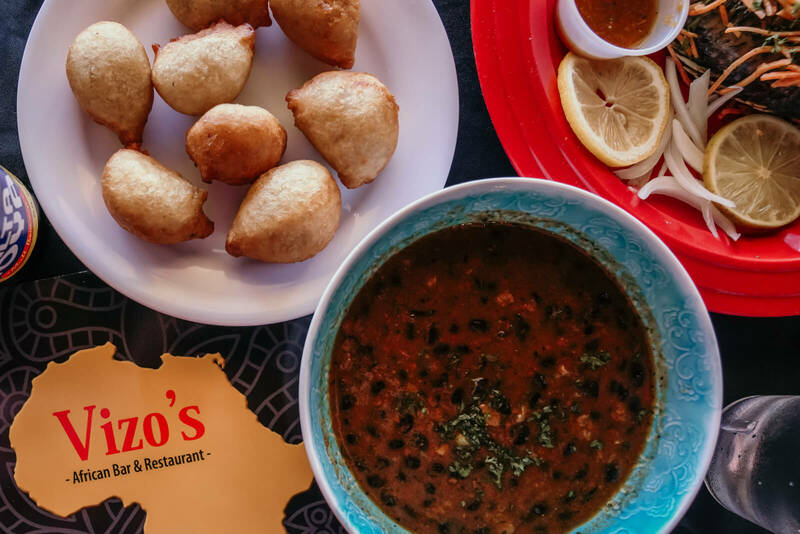 If you’re looking for new, tasty global dishes, Vizo’s delivered the perfect introduction to African cuisine right here in the 806. Sample these dishes and more at 4930 South Loop 289 from Tuesday to Sunday for lunch or dinner. Share your favorite international cuisine with us using #livelovelubbock.